There are lots of great Americana folk bands out there right now, however only time will tell if they have the staying power to become legends. One such legend is headlining in Seattle tonight. With a voice that recalls Americana greats of yesteryear, Joe Purdy‘s music combines his storytelling abilities with folk instrumentation to great effect. 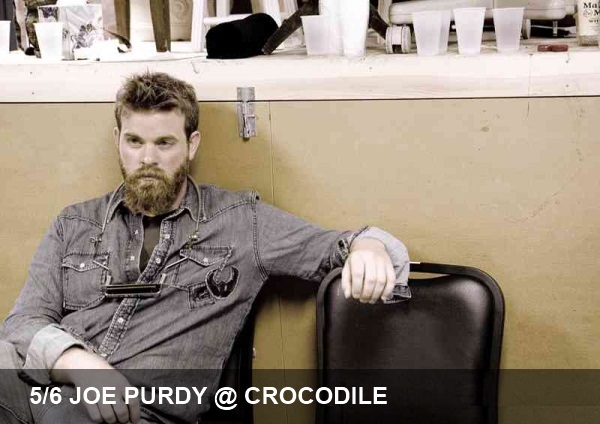 Unlike many of the bands that have risen to prominence in the past years riding the uber-popular Mumford & Sons/ Avett Brothers wave, Purdy has been releasing albums for the past decade. Impressively, Purdy has eight LPs to his name in that time, a prolific streak of longevity to which current Americana flavors of the week can only aspire.